We are leveraging genomic information that only we have to make a vaccine that flu virus cannot mutate around. About our solution: ...except us. I and my grad student at UCLA, Nicholas Wu, spent 3 years of intensive research to map the entire flu genome to comprehensively determine where all these regions are. 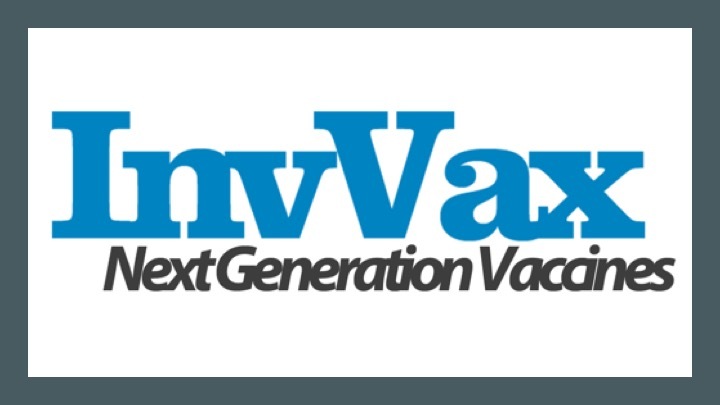 InvVax is incorporating the 15 very best of these regions into a universal flu vaccine that should be the only one that disallows viral mutational escape, and thus will be the only flu vaccine in the market that will be durable. We have proven 100% protection in a mouse model with our invariant-based vaccine, against three separate lethal strains of flu. This goes a long way toward establishing it as a universal flu vaccine and demonstrating high efficacy in vivo with our method of delivery. Bio: I grew up in the Bay Area, California, and went to undergrad at UC Berkeley. 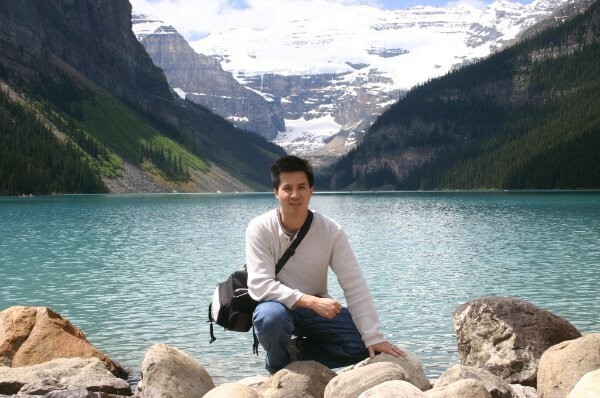 I did my PhD in cell and molecular biology at Washington University in St. Louis, and went on to do three postdoctoral fellowships, two at Harvard and a third at UCLA. While at UCLA I was the first to functionally profile a complete pathogen genome, and this led to an important discovery that allowed me to spin out my own company, InvVax, to develop the world's first effective and durable universal flu vaccine. About 30 million people in the US get flu each year, with 40,000 deaths. Worldwide there are 3-5 million severe cases and up to 650,000 deaths. Current seasonal vaccines are at best 60% effective, and often 30% or even lower (and at times 0%). Our vaccine will be the only flu vaccine that will cover all strains, protect against a pandemic, and do so without losing its effectiveness over time -- since we target places the virus cannot mutate around. Physicians are often frustrated by the seasonal flu vaccine's poor effectiveness every year. With our product they can be confident that they are administering something that not only will work, but will last at least 4-5 years, and will not be rendered ineffective because of the virus's natural mutation. They can be confident that elderly people and the very young, in short, those who need it most, can be protected from not just illness as a whole but severe illness, hospitalization, and death. And finally, they can be assured that in the event of a global pandemic, those whom they give the vaccine are fully protected. Between 140,000 and 710,000 hospitalizations for flu occur every year in the US (https://www.cdc.gov/flu/about/disease/burden.htm). Reducing this greatly will lift a tremendous burden from hospitals nationwide. Far worse is the real -- and as many experts believe, inevitable -- pandemic, in which cases hospitals would simply be overwhelmed by this one disease alone. Our product will effectively protect everyone who receives it from this situation, since it cross-protects against any strain of flu, bird flu and swine flu included. Currently about seven or eight Big Pharma have a seasonal flu vaccine on the market, with little difference between them (and as stated above, poor effectiveness across the board). Whoever acquires our brand will undoubtedly shoot to the top, and most likely will take over the market. As such, we expect much competition among Big Pharma to acquire us at some point in the clinical trials process. We have filed provisional patents for our 15 novel invariant flu epitopes in Dec 2016 and Sept 2017, and have filed the nonprovisional and PCT application in Dec 2017. No clinical trials data to date. Preclinical safety studies after a Series A raise to enable Investigational New Drug status. Expected to begin Phase 1 clinical trials in 2021. We will demonstrate that our mouse invariant-based vaccine fully protects against two avian pandemic flu strains, H5N1 and H7N7. This will prove that our product will work against a pandemic. Second, we will demonstrate that our human invariant-based vaccine induces an immune response and protects against lethal flu infection in mice genetically engineered to express a humanized immune system. This is a huge humanitarian cause. 3-5 million people worldwide each year develop severe flu, and up to 650,000 die. Still worse is the pandemic -- the worst ever was the 1918 "Spanish" flu, which killed 50 million (5x as many as WWI) -- and a big one is expected, not "if" but "when." We currently have zero readiness for a pandemic. Furthermore, our seasonal vaccine is pretty poor, too. Join us in beating all these daunting threats to mankind, as we leverage data only we have to beat flu where it cannot escape! The current annual flu vaccine market worldwide is $5B (https://www.prnewswire.com/news-releases/global-influenza-vaccine-market---will-increase-to-us-574-billion-by-the-year-2022---research-and-markets-300449457.html). We expect to charge a much higher price for our vaccine since it is universal, need only be given every 4-5 years, and is much more effective. We expect greater coverage than the current seasonal vaccine gets (only ~40% of Americans get it each year). Thus, we anticipate a market of $10B, renewed every 5 years. Having achieved IND approval to initiate clinial trials by early 2021, we expect to begin Phase 1 trials in mid 2021. We expect to be able to exit (acquisition by or merger with a large pharmaceutical company) as early as after successful Phase 1 (safety and immunogenicity) clinical trials and no later than after Phase 2b (medium scale immunogenicity and efficacy) trials. Comps of this type of market and at those stages would be ~250-500M purchase price. Biondvax, Univ of Oxford, hVivo, BioNTech, and Janssen are the major competitors. None of these approaches accounts for the virus's rapid mutation rate; we are the only ones who know where invariant stretches are and therefore where one can target the virus with a vaccine from which it cannot escape. Thus, we predict that all of these approaches will eventually fail, and could even fail before the vaccine comes to market (virus evades it while it is still being developed). We have had three large pharma companies reach out to us with avid interest, and have had deep discussions with one. We expect that one of these three, or perhaps another besides, will be interested in an M&A when we reach that point in the next few years. We have raised 620K thus far from angel investors (led by Life Science Angels) and friends & family.